I love a good cup of java and all the cute coffee shops and feelings that come with each cup! This really is one of life’s simple joys. And as the Fall season sets in, I love to indulge in a good ol’ Pumpkin Spice Latte. 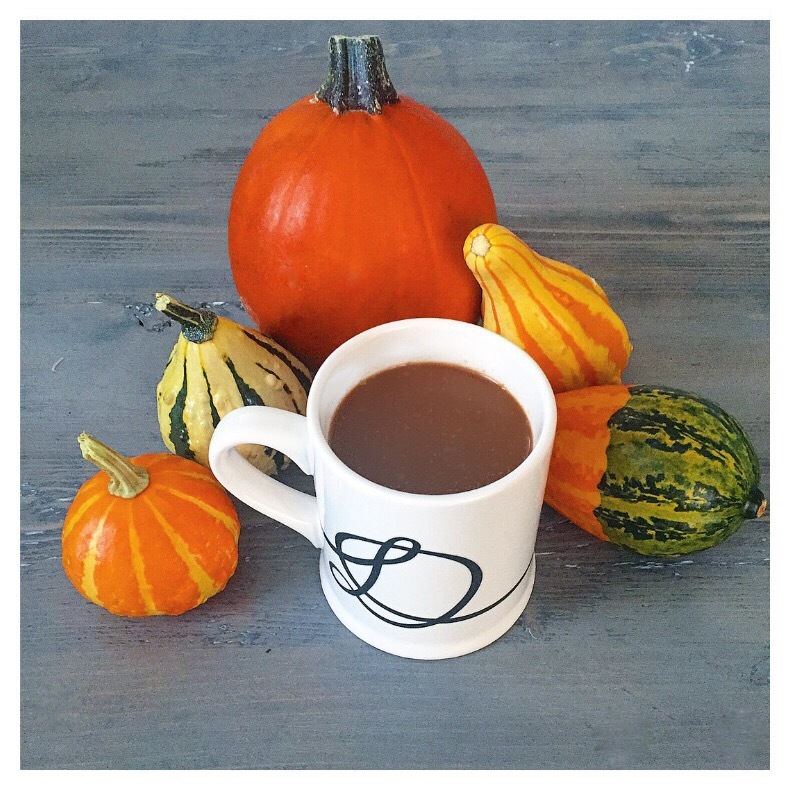 Lately though, I have been reluctant to regularly indulge in the PSL we all know and love and find that often I am choosing this option more so for the convenience aspect and here’s why…. Homemade PSL’s! These are so much better than and pumpkin syrup just does not compare. You control the sweetness, the spice and know exactly what goes into each cup. Plus, the $5+ spent on each cup is much more welcomed in my pocket! Mix spices with vanilla and maple syrup to create a paste. Pour Espresso and top with pumpkin spice milk mixture. If you are feeling fancy, top with whip or frothy milk. It’s October! Which means we’ve entered the blitz of pumpkin everything and there are no complaints here. As new products hit the shelves, I am easily intrigued by all the new variations of Fall. Pumpkin has literally taken over the grocery aisles and I’m suddenly set for all things Fall. I’ll be perfectly honest when I say that I love me some good ol’ pumpkin spice – the famous PSL, tasty pumpkin ales (or not so tasty lol), and every type of pumpkin dessert imaginable. I do my best in keeping up with the pumpkins. 🙂 And best yet, I have been experimenting at home, which usually brings an even better version of the things we love without the fake pumpkin flavour and extra sugar! You’ll see in past some of my pumpkin go-to’s (energy balls, raw pie, and savoury risotto). And this weekend I am sharing the ultimate pumpkin spice smoothie and latte! In a medium-sized bowl whisk together the milk, oats, and chia seeds. Place in fridge for 1 hour or overnight. Add soaked oat mixture to blender along with the remaining ingredients and blend until smooth. Add ice to make it more refreshing and top it with your favourite whip to make it extra fancy and sweet! The PSS works great for breaky or dessert and is a quick way to satisfy that pumpkin craving! Peaches are a summer favourite when it comes to fruit, especially Niagara peaches; nothing else quite compares. And every so often I like to spice things up by throwing peach halves right on to the grill – which is a real treat! Grilled peaches are the perfect way to jazz up a weekend brunch/breaky or if you want to impress guests with a sweet and smoky dessert. I like to keep mine simple with a light drizzle of pure maple syrup as the peaches are the real winning treat already. However, if you are looking for something super delicious and indulgent, grilled peaches topped with your favourite type of ice or whip cream is the way to go! I personally love them topped with Luna & Larry’s Coconut Bliss “Naked Coconut” – YUM! Also, another favourite dish for grilled peaches when looking to use them as part of your main dish, is to pair your grilled peaches with ricotta, basil and a drizzle of EVO and your favourite balsamic vinegar (see here my spin on the classic Caprese).